More than 300 curriculum-aligned psychology videos from INTELECOM were added for the first time this year. Faculty can easily use these for teaching and make them part of course material offered to their students. The psychology videos contain interviews, computer graphics and animation, and real-life case studies on psychology concepts and principles. 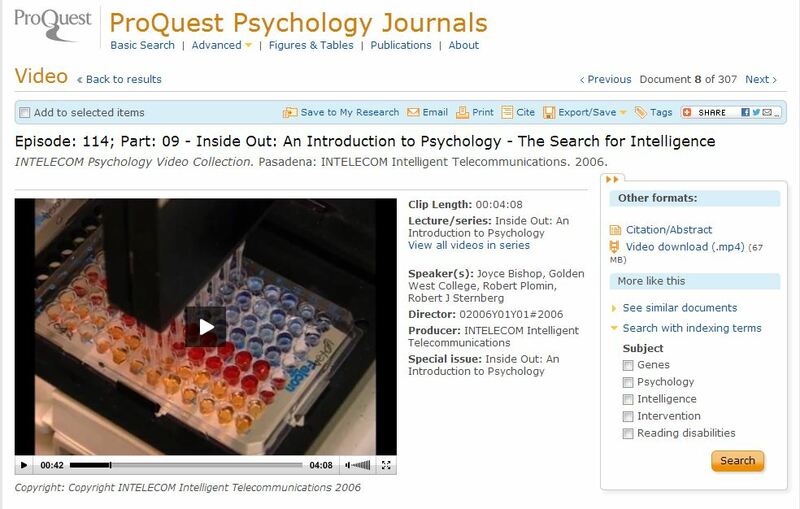 Alongside other American Psychological Association (APA) databases, PsycEXTRA – a rich resource for grey literature – is now available from ProQuest.